Shortbread crust filled with pastry cream and topped with fresh fruit. Graham Cracker crust filled with our house made Key Lime pie filling. A mini tart shell filled with our cooked caramel topped with chocolate ganache and a tiny sprinkle of sea salt. Our cooked custard with caramelized sugar on top. Fan favorite! 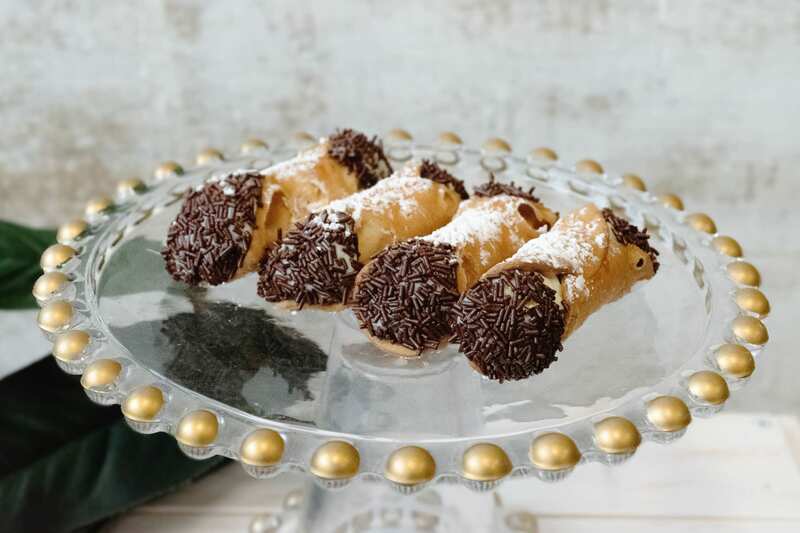 Cannoli shells filled with our mascarpone and marsala wine cream filling. Classic treat. Kid and adult favorite. Southern staple! 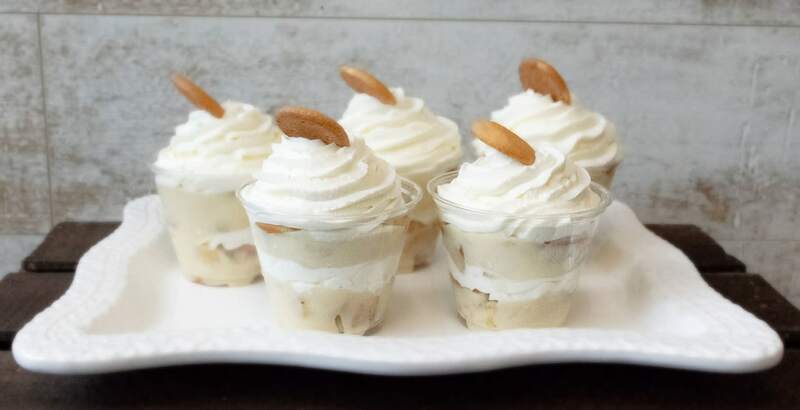 Vanilla pudding made from scratch, fresh bananas, vanilla wafers topped with whipped cream. Yellow layers filled and frosted in our house-made cooked caramel. Our fresh coconut cake iced with 7-minute icing and covered with fresh coconut. Southern Red Velvet with pecan cream cheese icing. Freshly grated carrots, pecans and spices in our traditional carrot cake, iced in our cream cheese-pecan frosting. We make our cooked fudge over the stove just like Grandma did. Just like Mama made. German chocolate cake frosted with cooked pecan-coconut icing. Fan favorite! Most popular cake made with fresh strawberries folded in our yellow cake batter frosted with a cream cheese buttercream icing with fresh strawberries folded in. Also available in gluten-friendly. 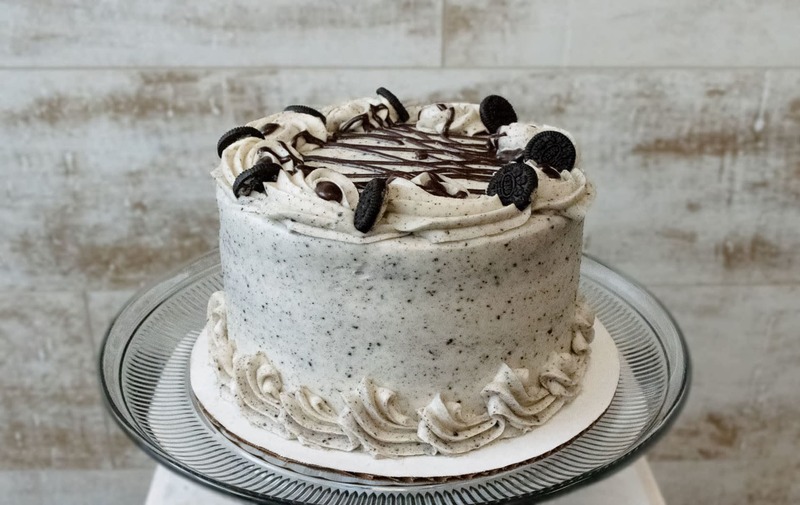 Vanilla layers with choice of Vanilla or Chocolate Buttercream. Also available in gluten-friendly. Double Fudge and pecan layers frosted with cooked fudge and pecans. Full of pecans and coconut, iced with cream cheese icing topped with more pecans and coconut. Fresh bananas, pineapple, pecan and cinnamon iced in our house-made cream cheese frosting. Double fudge layers filled and iced with white chocolate mousse and covered with chocolate curls. Our butter based pound cake topped with house made caramel. Classic recipe for our plain pound. Butter, sugar, eggs and flour. Classic! Take our perfect pound and swirl raspberry and lemon in it. Delicious! Coconut pound cake topped with coconut glaze and fresh coconut. Our guests favorite pound cake. Covered in our fresh lemon glaze. Just like it sounds... Butter and rum glaze topped with pecans. Shortbread crust with our fresh lemon baked curd on top. Sprinkle with powder sugar and you have a classic lemon bar. Chocolate brownies topped with our house made caramel, chocolate drizzle and a sprinkle of walnuts. We use 2 different chocolates in this brownie and spread chocolate frosting on top. Chocolate, chocolate, chocolate! Pecans added to our decadent brownies with chocolate brownie icing. Chocolate brownie base, creme de menthe filling. Topped with chocolate ganache. House made pumpkin bread great anytime of the year. Also comes in muffins and a variety of sizes. Made with fresh bananas and chopped walnuts. Cranberries and orange zest make this bread delicious. Best cinnamon roll this side of the Mississippi! Cream cheese and strawberry filling. Available in Blueberry, Cranberry Orange, Morning Glory, Banana. We peel and cut Granny Smith apples and bake into this classic apple pie. Southern tradition of pecans and filling baked up right. Baked Fudge pie. Perfect with a dollop of whipped cream. Chocolate and walnut filling. Perfect warmed up with vanilla ice cream. 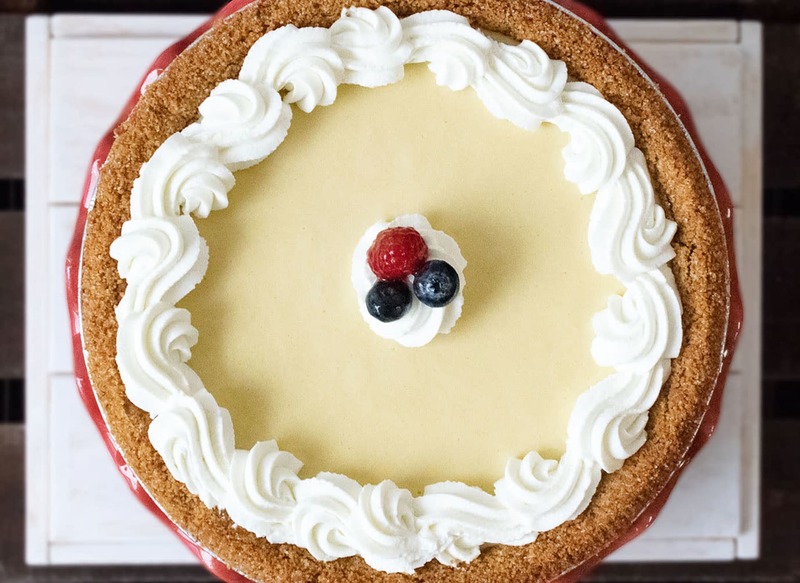 Key lime custard baked in a graham cracker crust. Topped with whipped cream. Layers of double fudge, chocolate mousse and white chocolate mousse covered in chocolate ganache. Double fudge cake layered with white chocolate mousse and covered with whipped cream and chocolate curls. Seasonal pie / check for availability. Butter cookie dough rolled in cinnamon and sugar. Big chunks of chocolate fill these classic cookies. Soft chewy large peanut butter cookies. Oatmeal cookies made from scratch. White chocolate, walnuts and craisins. Johnnie's favorite! Chocolate cookie dough with toffee pieces and walnuts. Cut out seasonal cookies. Custom orders made for your special events are available. Made from scratch with a hint of cayenne. We can't keep them on the shelves they are so popular!